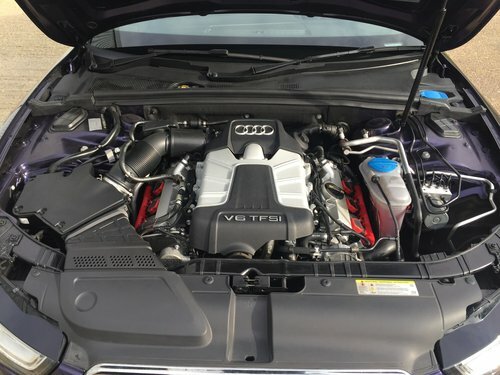 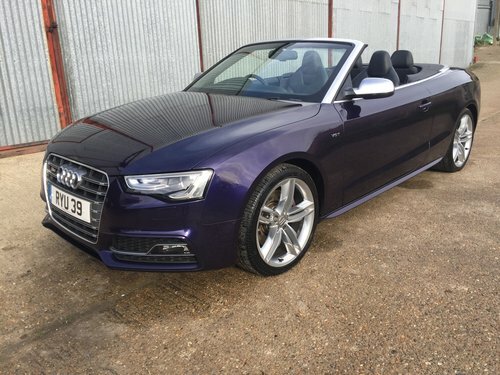 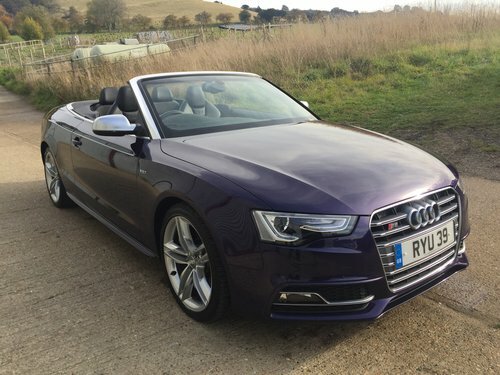 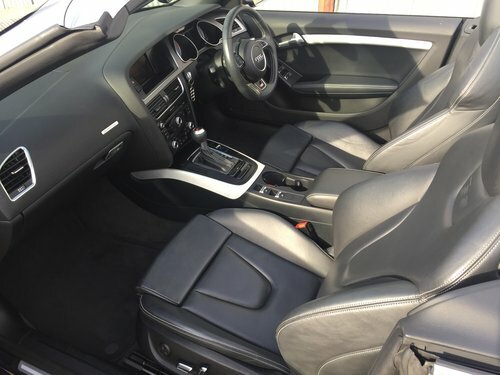 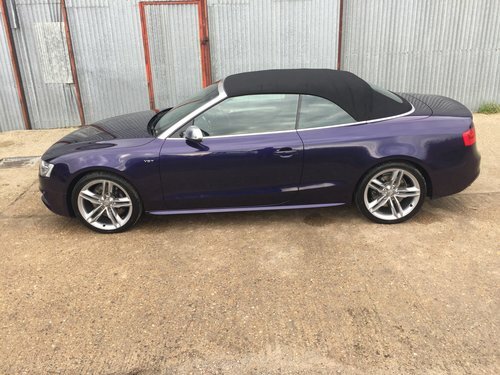 2013 Audi S5 Cabriolet, 3.0 TFSI, 333BHP, exclusive special order colour of Velvet Purple metallic with full black leather interior, Tiptronic with padel shift, only two owners from new both Lady’s, only 37,000 miles just fully serviced (02/11/18) and full stamped up service records, original “Bill of Sale” new Pirelli Pzero Rosso 255/35/19 on front and matching rears, refurbished original S5 double arm five spoke alloys in shadow chrome, black leather sports electric front seats, multi function display / on board computer, power heated mirrors, Electronic Stability Control, Power convertible roof, Bi-Functional headlamp with gas discharge lamp, stop start function, this Cabriolet is in stunning condition. 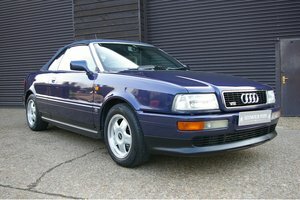 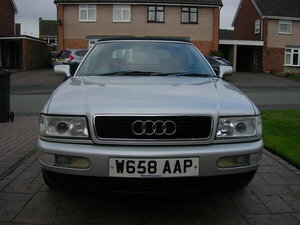 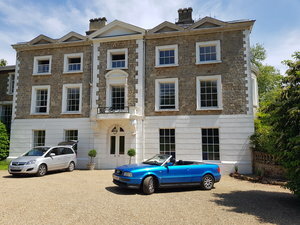 £22,750. 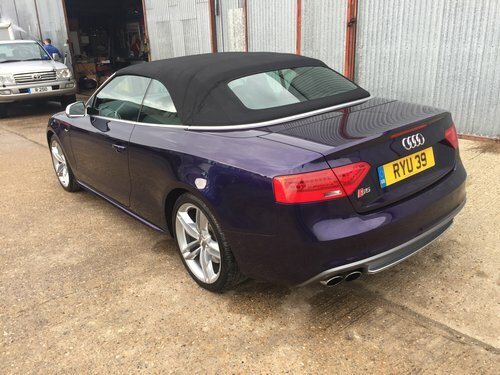 PS, Cherished Number not included in the sale, however, it can be purchased separately £POA.